An image can be defining in so many ways, some for their inspirational qualities, some for defining a certain place in a learning cycle, either technical or artistic. Some just for the story that goes with them. 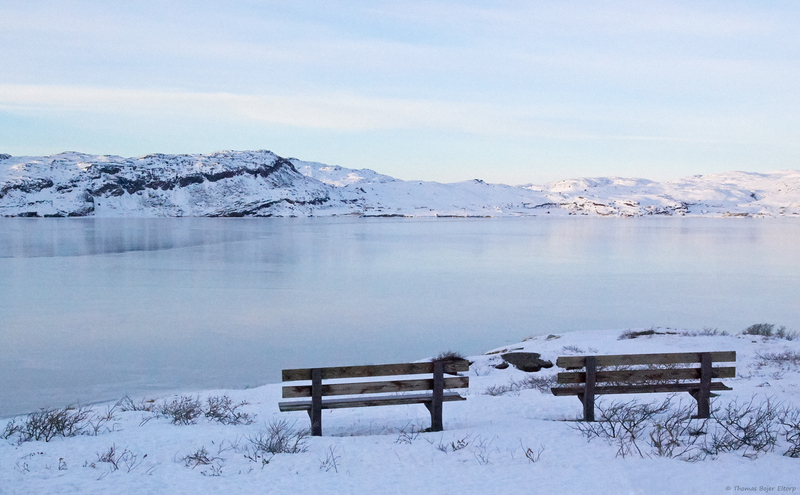 This image has a lot going for it: a low arctic winter sun casting soft shades of blue and yellow onto the scene, a serene and frozen fiord, snow covered grounds and a couple of benches inviting for a seat to take in the scenery and enjoy a quiet moment. It is however the story and a technical lesson from that day that remain the reason why this image has been defining for me and my photographic journey. A friend and I were heading for Nice in France from Nuuk on this beautiful morning, the first fight to Narsarsuaq had been problem free, however our connecting flight was heavily delayed, thus we borrowed a car and drove for a bit along the fiord to pass time and take in the views as the sun slowly made its way above the mountains. This scene and quite a few others made for an amazing experience and was my first encounter with the beautiful Narsarsuaq region, it was the place where I fell in love with the Greenlandic winter. 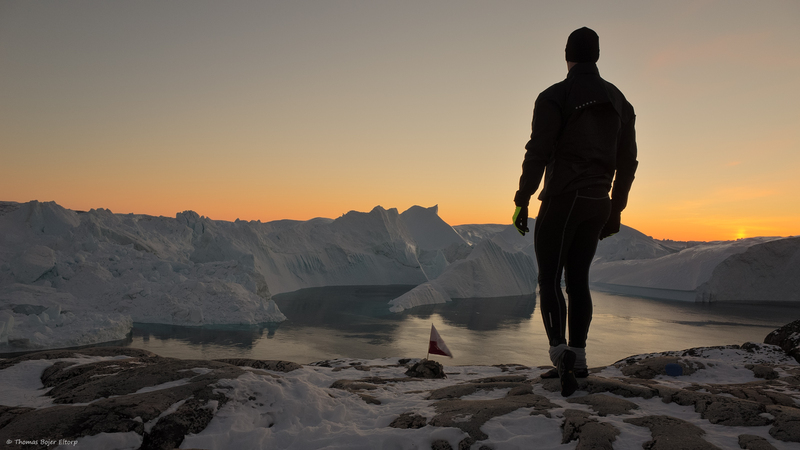 The otherworldly dry crispness and clarity of the air, the silence and the landscape, Winter in Greenland is something everyone deserve to experience at least once I think. I photographed handheld and while I did at the time find the relatively fast shutter speed surprising, I did not think more of it. First upon getting the image onto my workstation and seeing it full screen during the development of the RAW file did I notice it had been shot at very high ASA (1600) blotches of digital noise made it an image only suitable for small print at the time. Ten years later, before writing this post, I took it through development again, improved processing solutions and advancement in RAW development, combined with 10 years of additional experience has turned it into an image now printable at reasonable size. I learned that day more than 10 years ago, to pay very close attention to all parameters of my image creation process, both artistic and the technical bit that should be second nature, but is so important when turning a scene into a two dimensional print.